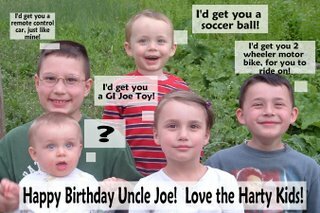 The Bethany Harty Blog: Happy Birthday Uncle Joe! 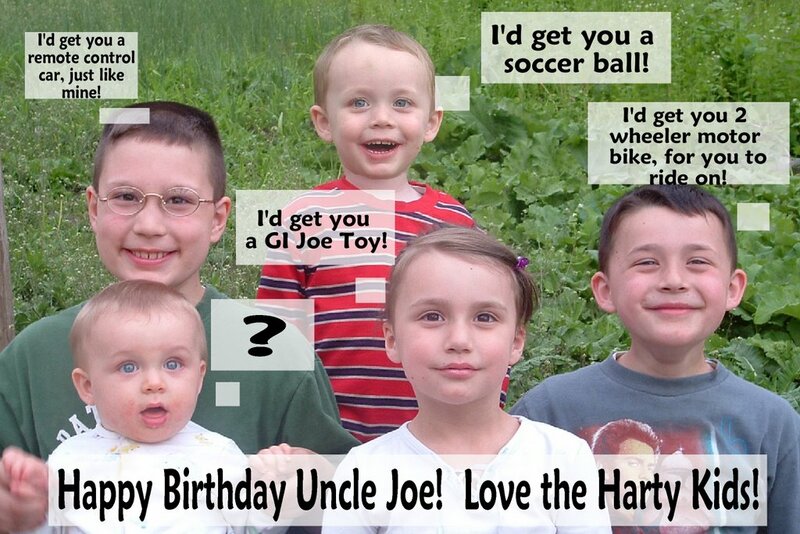 When asked what the kids would get for their Uncle Joe, if they could buy anything they wanted for him, this was their response! In case you couldn't tell, the boxes were supposed to be "thought bubbles". 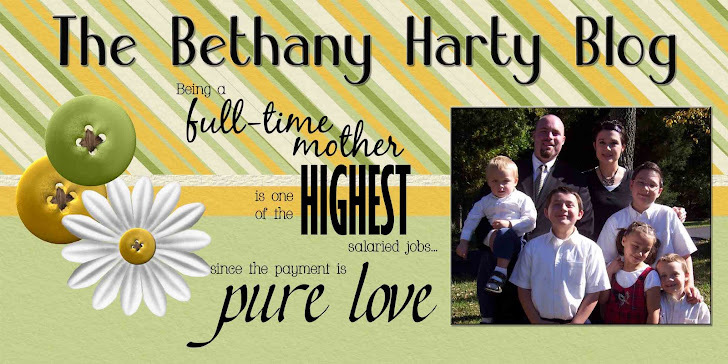 My weak photoshop couldn't handle it though. You get the idea! So I Can't Crawl...So What!